The states and the specific varieties recommended for growing in each one are listed in alphabetical order below. Simply scroll down to the appropriate letter and find the state for which you are looking, or click your state’s abbreviation in the table below to jump straight there. If the variety is linked, clicking the link will take you directly to a list of nurseries or wholesalers who offer that particular variety for sale online. Recommended strawberry varieties for Hawaii: Eversweet, Quinault, Seascape. Although strawberries are grown commercially on the Islands, and the Fragaria chiloensis species of strawberries grow at elevation there, they are more difficult to grow in the tropical environment and not highly recommended. The three varieties listed are sold in nurseries on Hawaii. Recommended strawberry varieties for Nevada: Camarosa, Chandler. Note: Nevada is not considered a good location for strawberry traditional strawberry cultivation. I am prepared to start with strawberry home DIY 3 D tower project in Angola (Luanda). Can you please advise me the right kind of strawberry (variety)? For the first step I need 60 pcs. I live in the philippines, can you advise me what variety to plant? There are a lot of strawberry plants here…but i want to try other varieties that can adopt to tropical climate. My area is in high altitude. I’m Alhudan i am from Indonesia, I have planted almost 150 trees of strawberry, but the strawberry that I have is not so big I have given compost manure, please give me advice on what kind of strawberry? which is suitable for a tropical climate that has a large size? I planted 50 Ozark beauty plants in April. Trimmed runners and flowers until plant was bigger. Now beginning of July I’m waiting for berries. I had some flowers but not what I would consider good for 50 plants. I’ve used some 10-10-10 and a bit of bone meal after planting. Had minor probs with red stele but phosphorous seemed to help. Plants look good for most part, just waiting on fruit. Do I just need patience or soil amendment? Good day, I am interested in the production of strawberries at commercial level and under a system of semi hydroponics, but in my city (Lima – Peru) the weather is something special, we have a summer from December to April with temperatures of 19 ° C per the night and 25 ° C in the day, with an autumn as well as the almost imperceptible spring, the winter is well marked (and special for what I will comment) begins in June and extends until October with an average temperature of 12 ° C per the night and 16 ° C of day with a relative humidity between 75% and 90%, it does not rain, the detail is in that the sky is gray (cloudy) but with embarrassment in this epoch, according to these conditions that variety could use. Have you tried the Eversweet everbearing strawberry? I would suggest trying it on a small scale to see how it grows in your climate. The variety that you plant will depend on what is available in your country, as most countries prohibit the import of plants due to disease risks. I live in a tropical area. here october- january is basically the winter season. is it possible to grow strawberries here? if possible which type of variety can be best to grow? 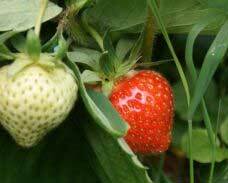 It is very difficult to grow strawberries in tropical climates. 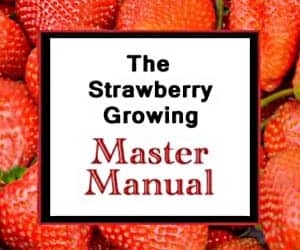 You can do it in climate-controlled environments, and you might be able to get a crop with short-day June-bearing strawberries during the winter months. However, I’d not recommend trying it due to the possible complication. Good luck! You can, but I wouldn’t if it were my beds and I’d already planted. The fact that you constructed raised beds is good as it will facilitate water drainage. If you take appropriate care of them, you will likely have no problems with any of the varieties you planted. If you want to be completely safe, however, you could uproot and replant a different variety. Good luck! Does anyone still sell Pocahontas variety strawberries. I am looking to start growing strawberries again an this was my best berry variety. All of the varieties of which I am aware are listed here. Good luck! I live in Arkansas and I decided to grow everbearing berries this year. I planted mostly Ozark Beauty with a couple of Quinault plants that I got on sale at a nursery. I noticed that neither is recommended in Arkansas, but the Ozark Beauty is recommended in Missouri, which I live near. Are any of these two not recommended? While neither of those two are recommended “officially” for Arkansas, both should do just fine there. I’d not worry with it at all and just enjoy your harvest when it comes in! Good luck! Unfortunately, strawberries are naturally temperate and just won’t do very well in constant heat and humidity. The 3/4 months of rain will cause pathogenic fungi organisms to damage or kill your strawberry plants. So, it would probably be better in this case to not try. I’m sorry! I was interested in buying the Camarosa variety and the flavorfest variety of strawberries. However, I live in western Massachusetts and these strawberries are not on the Massachusetts list. If these are not recommended for my area, could you recommend something to me. Thank you. Although the Camarosa and Flavorfest varieties aren’t on the list, both should do just fine in Massachusetts. Go ahead and plant them! Good luck! Unfortunately, if you don’t have a climate-controlled greenhouse, no strawberries are well-suited for your location. Sorry! Acquired Loran strawberry plants 2 years ago for my southwestern PA location. They did terrible in my raised garden. In fact, after scanning the various states, I cannot find the Loran variety recommended for any USA state. Could you please tell me what geographical area the Loran variety is intended for? This year, choosing more geographically friendly varieties! Loran plants are more of an ornamental variety. They typically aren’t recommended for fruit production. Good luck! I am wanting to produce day-neutral strawberries commercially in central Kansas. I am looking at planting Evie 2 and Albion. Any tips or suggestions? You might want to consider using a June-bearing type. The day-neutrals are harder to make profitable due to their overall lower yield of berries as compared to June-bearing varieties. If you are sure you want to go with a day-neutral variety, the two you mentioned can work. Tribute and Tristar are a couple of others you may want to investigate. Good luck! The best way is to check with the nursery where the plants were purchased. Good luck! this site has helped me out so much. ive started a berry garden and was wondering if theres a miss blueberry or mr blackberry…. id like my other berrys to look as good as my strawberry.. Thanks for the compliment! I do actually grow blueberries also, but I don’t have time to maintain a blueberry site as well. I’m sorry! Last week at my local Home Depot in Canton, I bought some Alistar, Ozark Beauty and the Quinault variety berries and after checking the list for Ohio, none of these varieties are recommend for the state. Will they grow in my area and why if they are not recommended for this area would the local Home Depot sell them? The plants are in the Bonnie brand pots that get planted directly into the ground. Any help you can supply would be greatly appreciated. Thank you so much. While those varieties may not be specifically recommended as the best possible varieties, they ARE some of the most popular, well-adapted varieties. Home Depot and Lowes and the other big box stores contract out to the big nurseries to get a certain amount of plants and then distribute those out to their retail outlets. They choose varieties that should do reasonably well across many different climates and locations. The varieties of plants you purchased should still do well for you if you care for them appropriately, so don’t worry! And, good luck! UGH, I just bought 12 Oregon and All Star Strawberry plants at Home Depot. I live in Asheville, NC a 3,000 ft elevation. The oregon and alstar are suggested for oregon not NC. Should I take them back??? No, if they were available where you live, they should do well. All Star, in particular, is a very well-adapted variety. You should do just fine with those varieties. Good luck! We live in Eastern TN, elevation around 1000′, humid summers, rainy winters. I would like to plant Quinault and 1 other variety, what would you recommend? I’m looking for superior taste more than any other quality. Thank you so very much. Click this link to see the recommended varieties for Tennessee. Good luck! I just received Fiesta variety cultivars to plant as a substitute for my Chandler variety of plugs. However, I cannot see anything about this variety on the web. Can you tell me if they are suited for Arkansas and anything about them. Are they a day neutral or ever9bearing? Fiesta strawberries are a less-common variety, but are more suitable to warmer weather than are many other varieties, just like Chandler strawberries are. They are a good substitute for Chandlers. I believe they are June-bearing. If you don’t mind me asking, where did you get the Fiesta plugs/plants from?